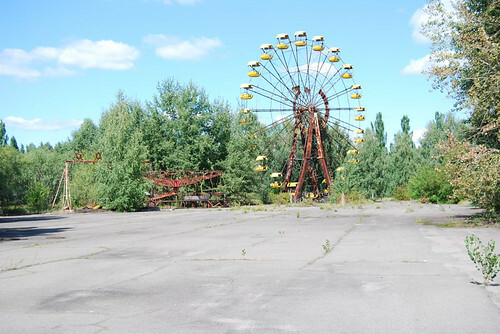 In August 2009, the third day of our arrival in Ukraine, we visited the place were it happened one of the tragedies that would force the world to think about the dangers of the nuclear power: Chernobyl. 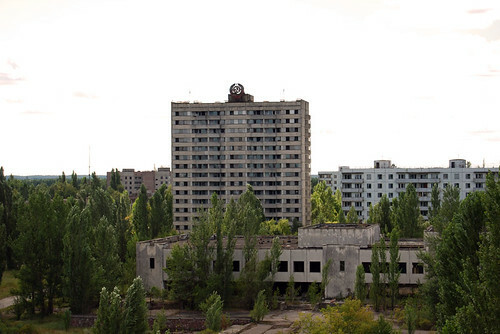 The catastrophe that took place in Chernobyl in the 80’s is known throughout the world, but few know what happened to that area where the radiation forced people to leave their homes forever. 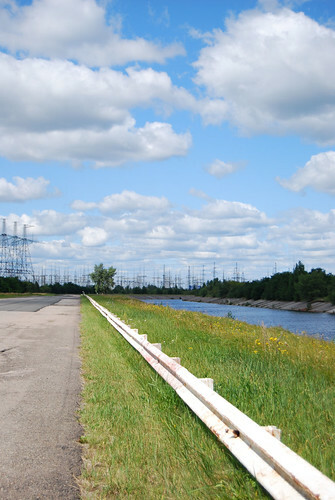 Today that area is called Exclusion Zone, and occupies 30 kilometers around the nuclear plant. 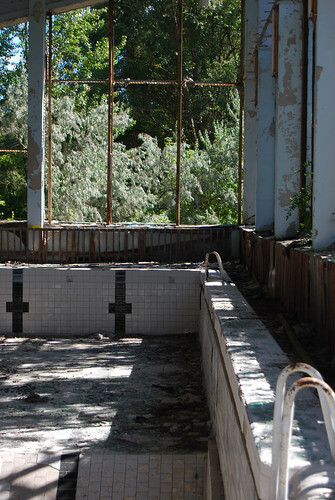 It is restricted to anyone without an authorization to access the area, with controls supervising documentation from those who enter and examining the radiation doses of them who leave. All our documentation and trip to the area was arranged by New Logic, a travel agency in Kiev. Contrary to what I thought before arriving to the exclusion zone, there are many people living within the “abandoned” perimeter (because of the war that is taking place now in Ukraine, I do not know the current situation of this population). It has been estimated that the radiation dose they are getting are between 0,6% – 1,8% higher than the average received by a person throughout their life. That can increase cancer risk, although studies concluded that there is less than 0,1% increase in risk. 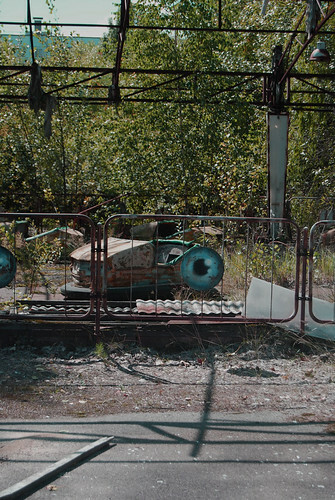 Perhaps that’s why workers in the town of Chernobyl are calm. While they do not consume local food risks aren’t very high. 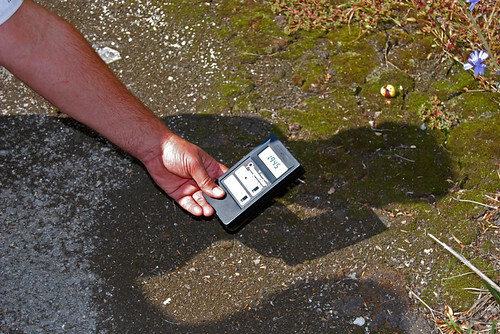 The higher doses of radiation to the population living in surrounding areas during the first weeks after the accident (Ukraine, Belarus and some parts of Russia) was radiactive iodine I-131. This radioisotope afects people thyroid, specially the children, increasing the risk of thyroid cancer. Radioactive iodine I-131 has an average life of 8 days, so now there is no danger from this radioisotope if you enter the exclusion zone. But it has been proven that there was an increase of thyroid cancer among the population who drank milk and ate contaminated foods during the months of May and July 1986. Today, the residual level of radiation in the area comes from the caesium-137, strontium-90, plutonium 238, 239, 240 and 241 and americium. A total of 24.000 years to live there. We start our visit. 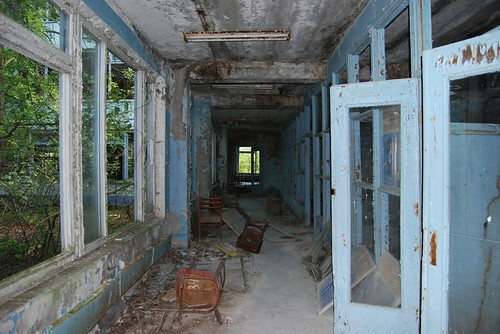 After entering the village of Chernobyl, we go to the nuclear plant. 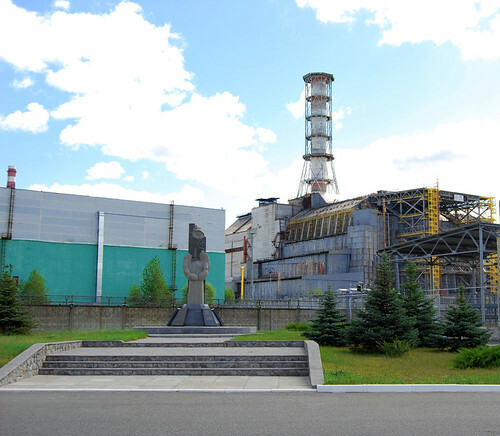 We are very close to the fourth reactor, the sarcophagus on tones of radioactive material. But after arriving to the plant we stop beside a river. A bridge that supports an old abandoned railway serves us as a platform to observe something amazing: the river is plenty of gigantic fishes. They are catfish (silurus), so large that we can see their moustaches perfectly from where we are. Our guide, Yuri, is prepared for the occasion. He takes a loaf of bread from the minivan and shares with us so we can feed the fishes. When we throw the food to the water we are marvelled seeing how they jump masterfully. The bread only lasts seconds in the surface. The nature around us, the jumping fishes, the river… for a moment I almost forget we are in one of the most contaminated places in the earth (in 2009 we could not think in Fukushima). Once we left the river we are led to a chamber with a model of the plant, which is followed by an explanation that leaves us quite puzzled. 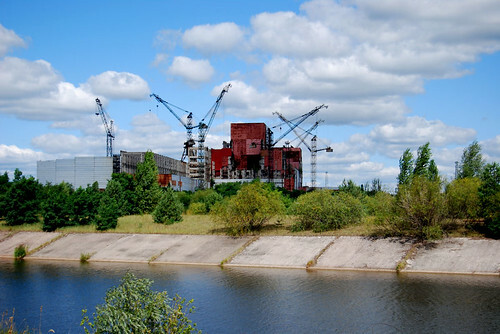 There is a plan in place to make a new sarcophagus and get the fuel contained within the reactor, and the funds and arbitration include several countries of the European Union. But once the sarcophagus is ended, the biggest question remains: How will they extract the fuel? To that question our host in the plant says, almost with a shrug, they expect that by 2018, when the new sarcophagus is over, there is a technology that allows them to manipulate the material inside. That is, they do not know. We leave the plant and continue our trip by a narrow road. As we advance more and more weeds are overhanging the path. 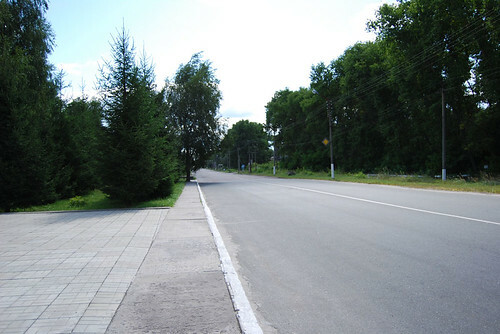 Very few people take this path, as the majority of inhabitants of the area (about 3.000 according to Yuri) is living in the village of Chernobyl. And after about ten minutes we pass the sign that tell us we have entered Prypiat, a real ghost town today. Entering in Prypiat answers the question: “How would it look if we abandoned our city during 20 years? Death blocks rise up in the middle of nature, that is gaining ground against the asphalt that made streets and roads passable places. The paper covering the walls in the buildings is fully cracked, an so stairs and floors, all the windows broken. Looting has done the rest. 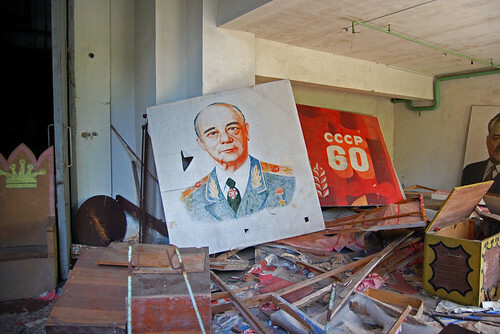 Prypiat is a Soviet dormitory town frozen in the 80’s. 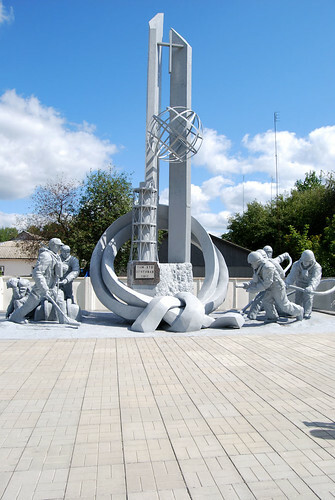 It was a new city, one of the newest in the USSR, having been founded in 1970 for the workers of Chernobyl. It had a hotel, schools, sports center and even a theater. 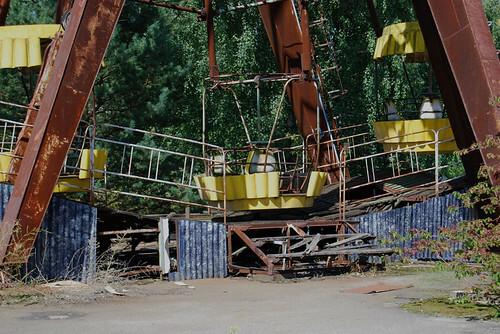 Forgotten among its abandoned streets you can also see a small amusement park. Never was open. We walked through the city and into some of its buildings. 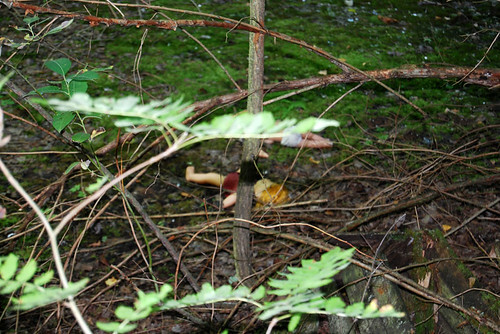 There is something creepy in an abandoned modern town. 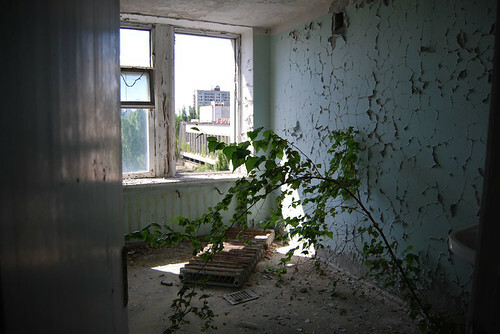 Most of the buildings are empty, but there are remnants of the lifes that the inhabitants of Prypiat left behind. 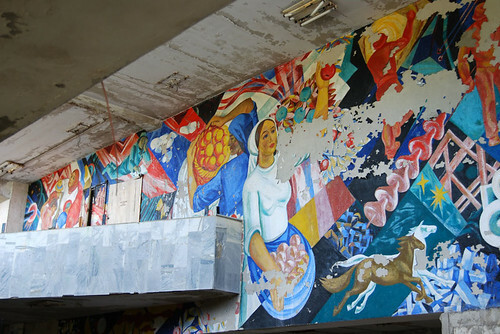 In the sport center, colorful murals with communist symbols are still preserved, and the pool is intact; the theater conserves its foci, its steps and in an adjacent room many portraits of political characters are leaning against the walls and scattered on the floor. School is full of children murals, books, even a destroyed disc in the music class. 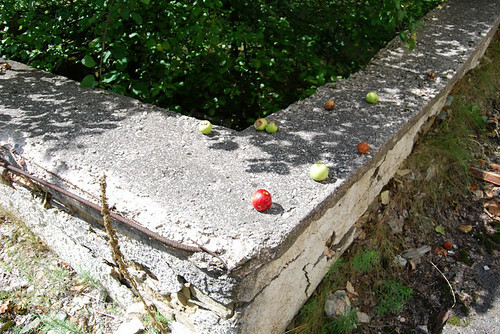 All contaminated by radiation. 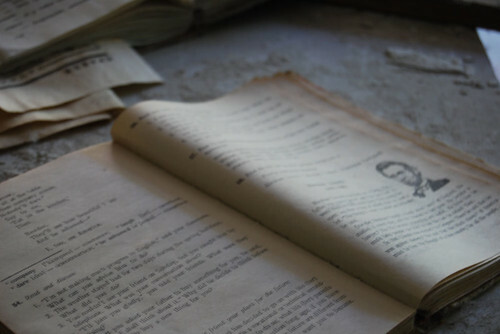 Prypiat is a place that should not be forgotten. 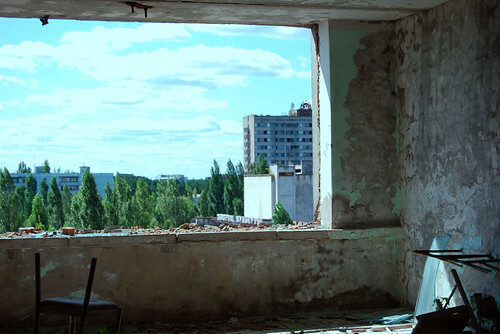 A city devastated by radiation cannot be cleaned or rebuilt , not even moving. It Is dead forever.